As cats age they may suffer from stiff joints and arthritis. These problems can make stepping into the litter box a painful experience. If you notice your older cat having these difficulties, check the litter box. 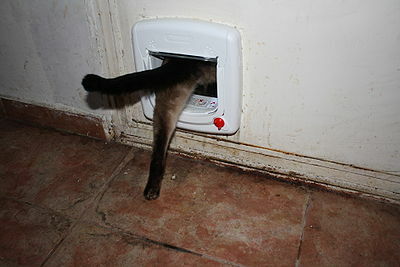 You may have to change it to a box with lower sides to help in making it easier for your cat to step into. It should also be fairly large so that your oldster has more room to move. Check the litter you use as well. 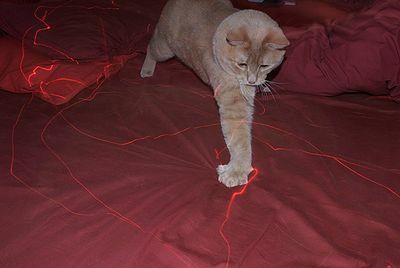 Try using one of the green litters that are softer on cat’s paws. If odor becomes a problem, sprinkle some baking soda in the litter. 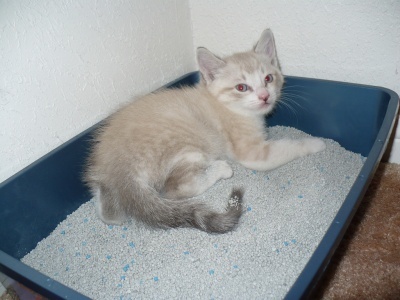 And there are green products available to use in the litter box, including scented litters, to cut down on odor. What can I do about Pet Odors?